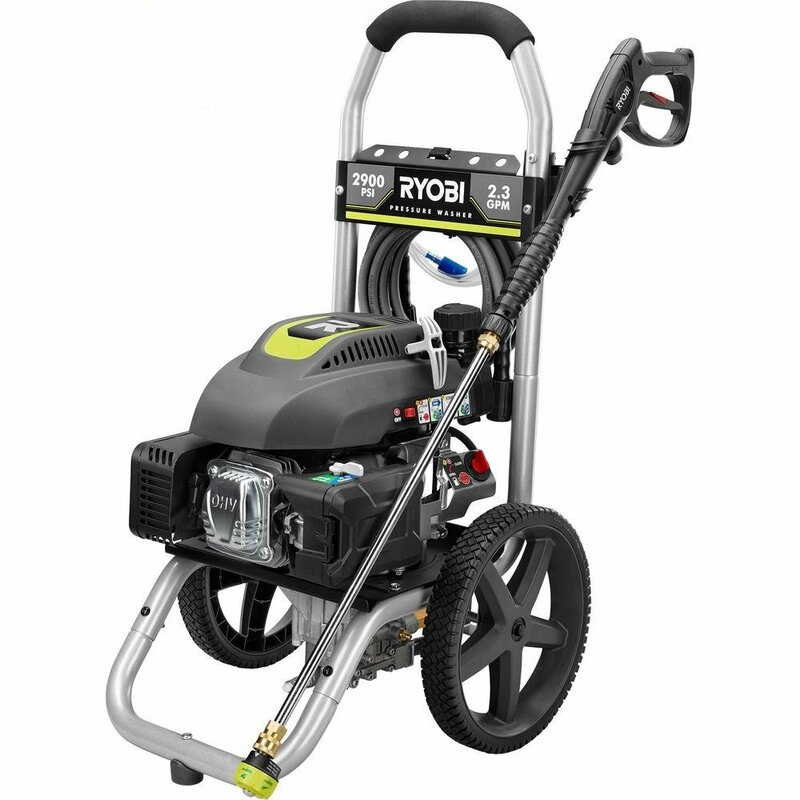 The Ryobi 2.3 GPM Pressure washer is a gas powered pressure washer. These units must be run outdoors, so noise may be a downside if you run at night and have neighbors. Gas driven units typically have higher longevity in continuous use than residential electric models. This pressure washer when added into the quad train can produce a total flow of 9.2 gallons per minute.